Mini Movies is a collaboration between the Berlin musician and singer Antye Greie (AGF) and the American video artist Sue Costabile (SUE.C). Calling herself the poem producer, AGF presents a mix of poetical texts, both sung and spoken against a dynamic background of rustling electronic sound. Antye Greie began to work with this in the past with the German-language band Laub, and as AGF has refined her approach to create an intimate, dreamy whole that can be listened to as short audio trips or soundtracks to miniature movies. The short films of SUE.C can be described in a similar vein. 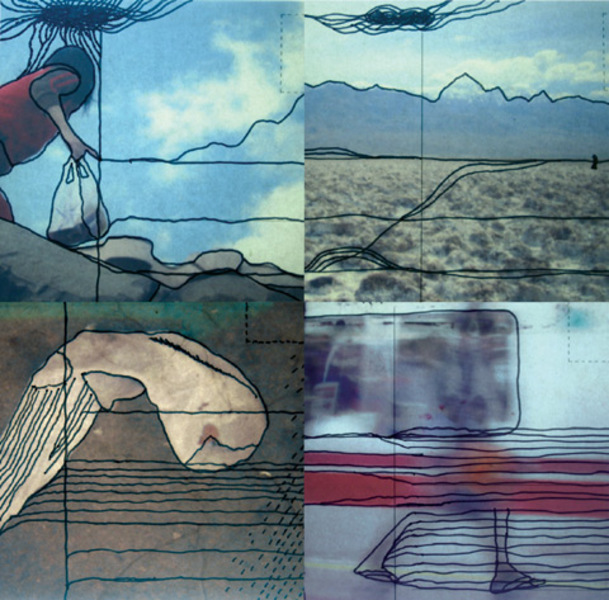 Through direct physical manipulation of photographs, texturized watercolors, rough-hewn papers, fabrics and re-appropriated objects she builds stories layered in light, space and time. In combination with AGF her movies find their perfect expression. 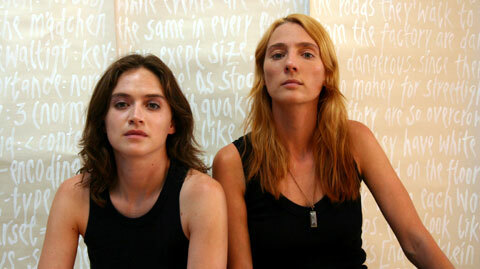 AGF and SUE.C began their artistic relationship in 2001 when Sue’s record label, Orthlorng Musork, started making plans to release the first solo record from AGF (http://www.musork.com/o_08.html). Their first live performance together was at the Mutek Festival in 2002 where something magical happened. Through the medium of live performance they discovered many commonalities between AGF’s sonic language and SUE.C’s visual language. Both see life as a series of miniature movies, some silent, some only a soundtrack waiting for the image to appear. 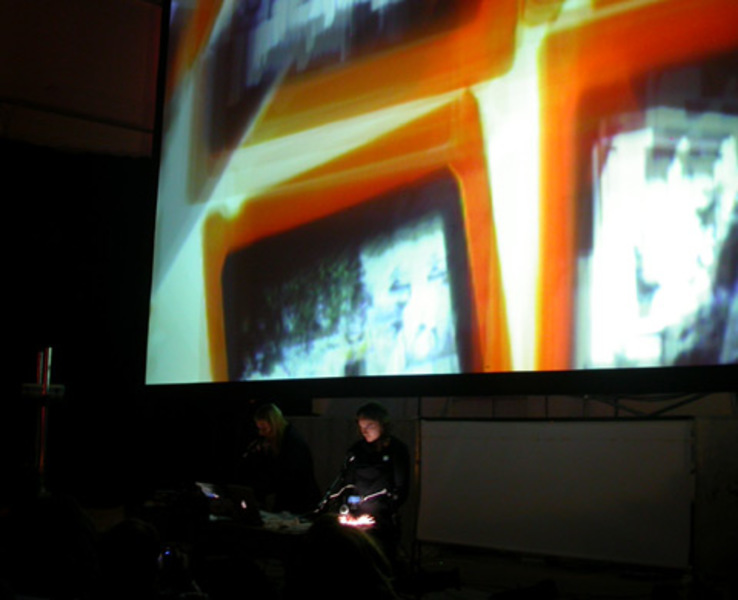 AGF and SUE.C have performed together in many venues including Ars Electronica, the Milano Film Festival, Monkey Town (NYC), Dis-Patch Festival (Beograd), Recombinant Media Labs (San Francisco), Say It Now Festival (Gent), and Sonic Acts (Amsterdam). AGF also collaborates with Craig Armstrong, Vladislav Delay, Kaffe Matthews, Eliane Radigue and many others; SUE.C is also currently performing with Morton Subotnick and Laetitia Sonami, and teaching at the California College of Arts. More information can be found on their websites.